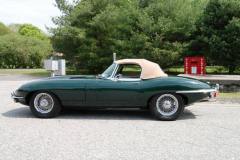 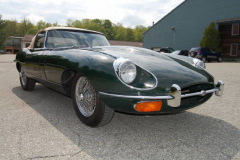 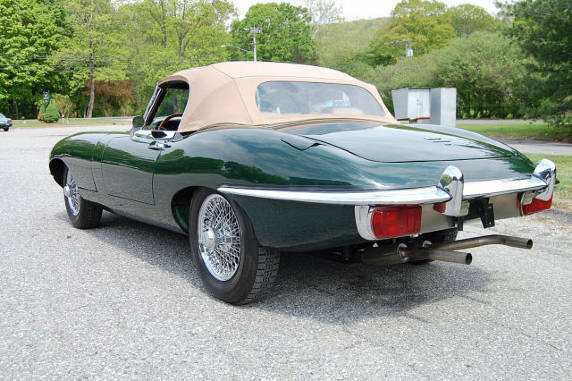 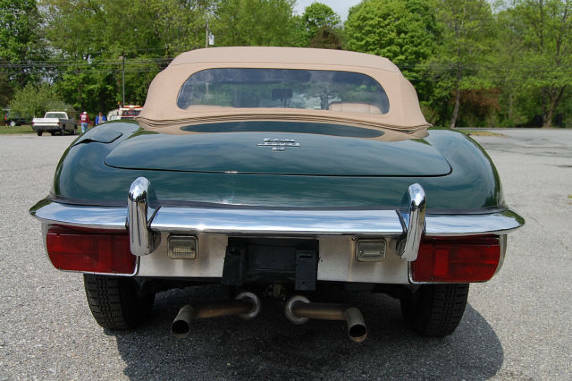 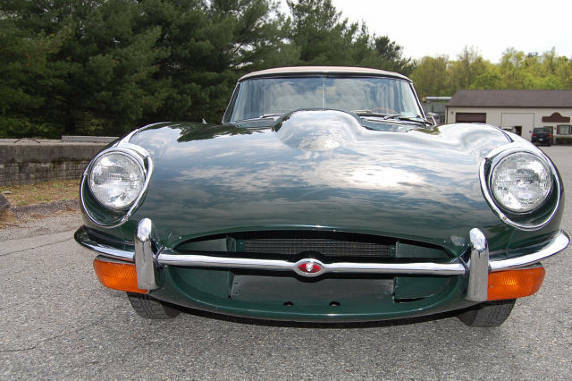 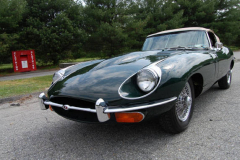 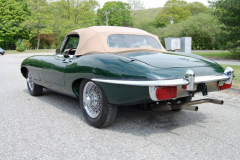 1969 Jaguar XKE Roadster British Racing Green with a tan interior. 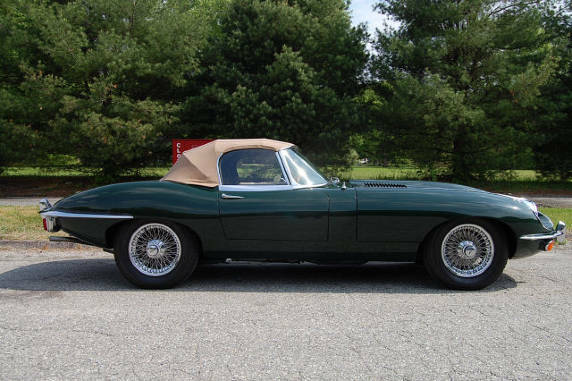 84,000 miles. Numbers matching with heritage certificate. 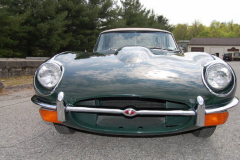 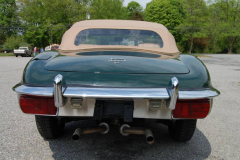 The series two roadsters represent a great value in a Jaguar XKE.